The Terms and Conditions may be changed or updated by The Wonky Agency Ltd from time to time and without prior notice. We will indicate at the top of the Terms and Conditions the date on which they were last updated and any use of the site following such a change assumes acceptance of the new Terms and Conditions. 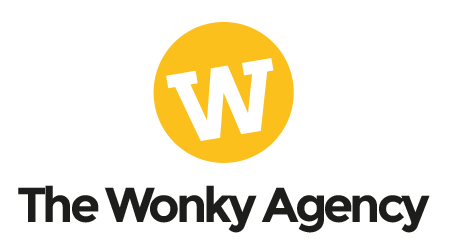 The Wonky Agency Ltd will not be liable for any loss or damage caused by a distributed denial-of-service attack, viruses or other technologically harmful material that may infect your computer equipment, computer programs, data or other proprietary material due to your use of this website or to your downloading of any material posted on it, or on any website linked to it. Our website may also contain links to other sites operated by The Wonky Agency. We advise you to review the legal, privacy and security information for each such site to which you link as the terms and conditions and privacy policies may vary slightly from site to site. Except as otherwise expressly noted, all images, illustrations, designs (including product designs), graphics, icons, photographs, text, audio clips, video clips and other materials that appear as part of the website as well as the selection, arrangement and organisation of the foregoing and the website as a whole (collectively “Content”) are subject to copyright, trade mark, service mark, trade dress and/or other intellectual property rights or licences and rights of publicity and privacy, all worldwide rights, titles and interest in and to which are owned by, licensed or which may otherwise be used by The Wonky Agency or our suppliers. All software used on this website is the property of The Wonky Agency, its suppliers or third-party suppliers as applicable and is protected by UK and international copyright and other intellectual property laws. Such disclosure, submission or offer of Submissions and your agreement to these Terms and Conditions shall constitute an assignment to The Wonky Agency of any intellectual property rights. You warrant that any Submissions comply with those standards, and you indemnify us for any breach of that warranty. As such The Wonky Agency will own exclusively all such rights, titles and interests and shall have the right to use, reproduce, create derivative works based upon, disclose, publish, distribute, display and publicly perform, any Submissions and not be limited in any way in its use, commercial or otherwise of any Submissions. Further, The Wonky Agency shall be under no obligation to maintain any Submissions in confidence, pay to users any compensation or royalties for any Submissions or provide attribution to any users for any Submissions. The Wonky Agency shall have no obligation to keep confidential, use, return or review any Submissions. The Wonky Agency will not be responsible, or liable to any third party, for the content or accuracy of any materials posted by you or any other use of the website. The Wonky Agency does not represent or warrant that your use of the website, or the operation or function of the website or any services offered in connection with the website will be uninterrupted or error free; that defects on the website will be corrected; or that the website or its server or any links are free of viruses or other harmful elements. Nothing in these Terms and Conditions shall limit The Wonky Agency’s liability for death or personal injury arising from negligence, nor for fraudulent misrepresentation or misrepresentation as to a fundamental matter, nor for any other liability which cannot be excluded or limited by law. You agree to indemnify, defend and hold harmless The Wonky Agency’s directors, officers, employees, consultants, agents and affiliates, from any and all third-party claims, liability, damages and/or costs (including but not limited to, legal fees) arising from your use of this website or your breach of these Terms and Conditions. The Wonky Agency shall have the right in our absolute discretion at any time and without notice to amend, remove or vary the service and/or any page of this website. If you breach these Terms and Conditions and we take no action, The Wonky Agency will still be entitled to use our rights and remedies in any other situation where you breach these conditions.